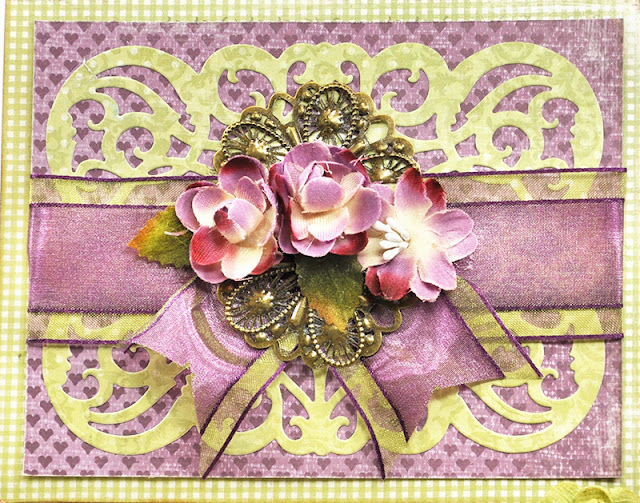 I'm here today to share my card combining many wonderful products - Petaloo accent flowers, JustRite Dies and Maja Design papers. Purple and green are among my favorite color combinations. Toss in rich chocolate brown color and you have the Fika collection from Maja Design. I adore this classic collection. I did have to stop hoarding the paper and actually cut it up to use, however there is still a part of me that wants to hoard away forever. 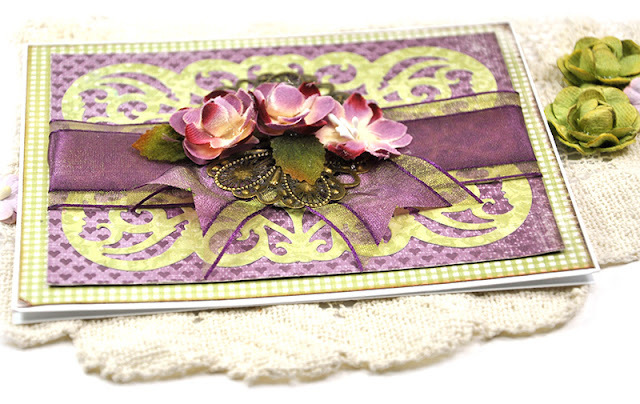 But we all know in our hearts that paper is meant to be used and enjoyed on projects and not tucked away on a shelf. 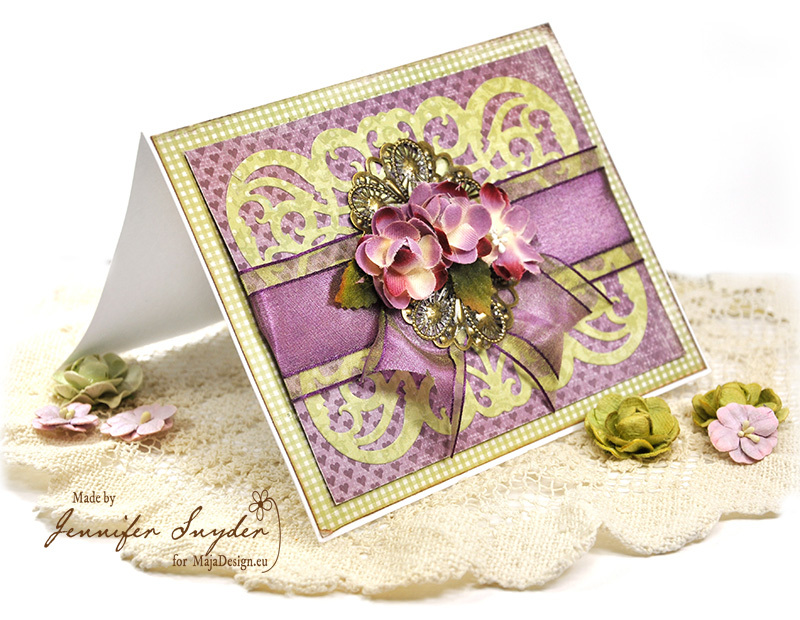 I accented the card with some fabulous purple Petaloo Flowers from the Botanica Collection - Baby Blooms . 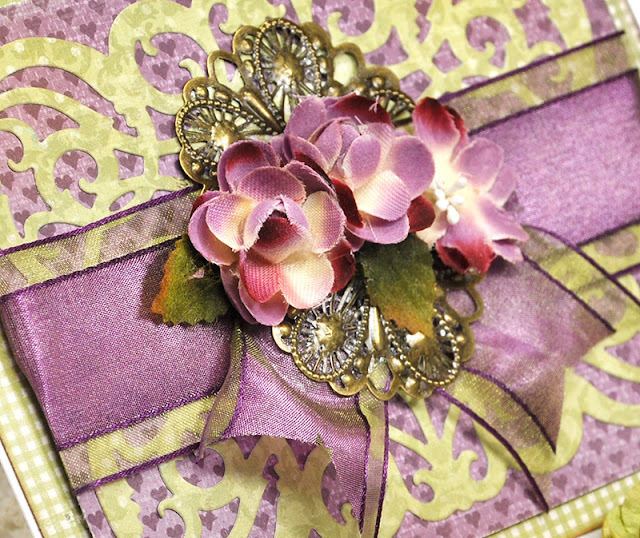 They are a perfect match and help to add a delicate touch. They also do not overwhelm the card. 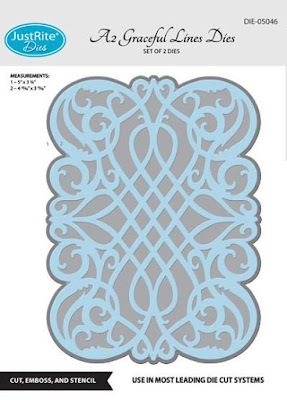 I've added a beautiful die from JustRite Papercrafts - A2 Graceful Lines Die . 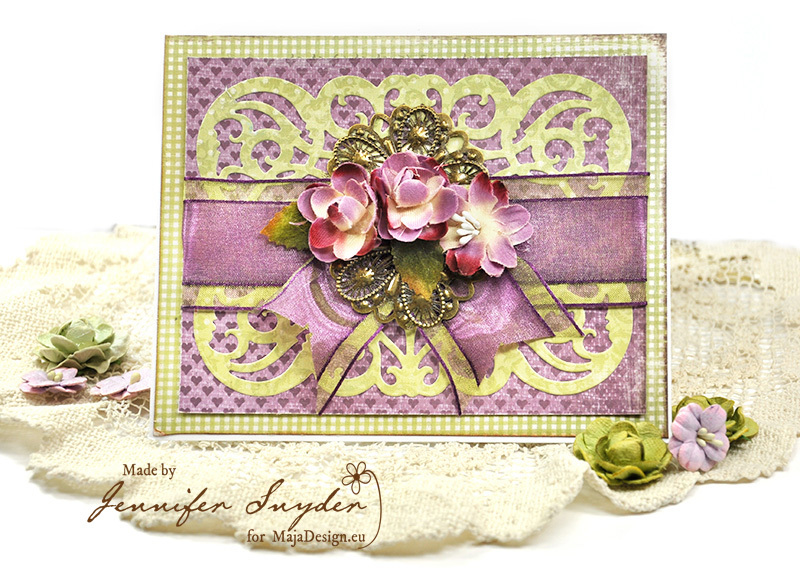 This die was fun to use here because the green papers from the collection make this die pop with beauty and grace. Thanks everyone for your constant support. 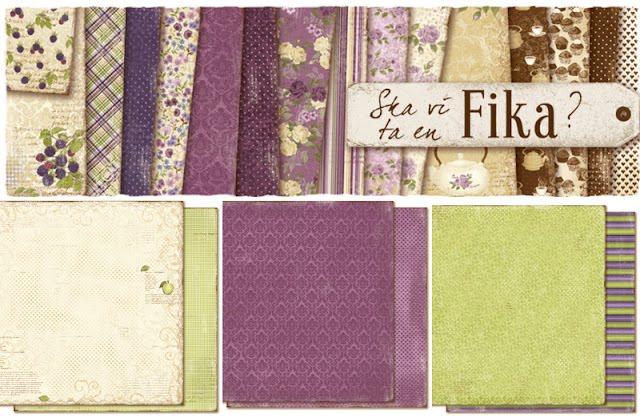 Labels: Cards, dies, Justrite dies, JustRite Papercrafts, Maja Design, Petaloo, purple, Ska vi ta en Fika?